Nikon D500 is characterized by its robust physical construction, apt imaging capabilities, and of course, a more compact, sleek form factor than its FX brethren. This camera appeals to both still and video shooters with its fast 10 fps continuous shooting rate and 4K UHD video recording abilities. 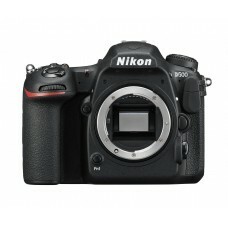 The sensor and processor also combine to avail a native sensitivity range up to ISO 51200, which can be further expanded to ISO 1640000 for working in dark and difficult lighting conditions.The D500 is also characterized by its expansive Multi-CAM 20K 153-point AF system, which features 99 cross-type points for fast performance and accurate subject tracking capabilities. 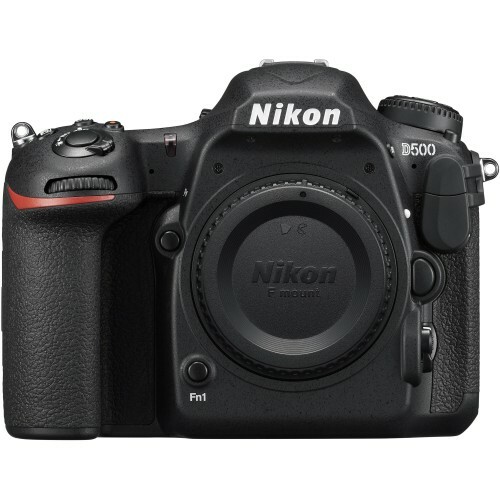 While sleek in stature, the D500 is by no means slim on functionality and versatility. At native values, a sensitivity range from ISO 100-51200 permits working in a broad array of lighting conditions, an can be further expanded to ISO 50-1640000 (Lo 1 to Hi 5) to handle the most challenging of situations. The mixture of resolution and sensor size also contributes to clean image quality and smooth color transitions with reduced noise throughout the sensitivity range. 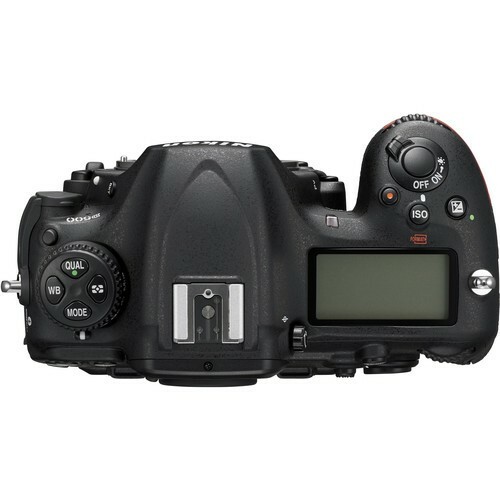 Using a subject's color information, this mode utilizes all 153 points to maintain focus on a moving subject while half-pressing the shutter button.For faster wireless performance, the D500 is also compatible with the optional WT-7A Wireless Transmitter enabling transmission of image files via FTP server or computer at speeds of up to 866.7 Mbps.The D500 is compatible with the radio-controlled Advanced Wireless Lighting system, which permits working with the optional WR-R10 Controller and WR-A10 Receiver, along with the SB-5000, for intuitive, controllable wireless flash shooting. 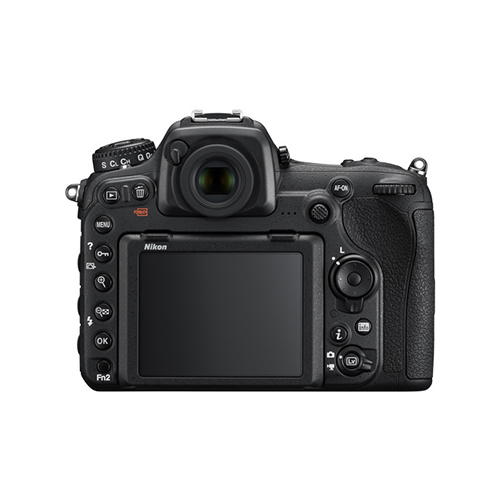 Besides the imaging assets, this advanced DSLR also features an impressive handling design that incorporates a 3.2", 2.36m-dot, tilting LCD touchscreen, which affords a comfortable means for working from high and low angles. An updated version of Snap Bridge is also featured, which provides Wi-Fi connectivity with NFC, as well as Bluetooth Low Energy technology for linking your mobile device for wireless image sharing. In addition to the convenience features, the D500 is housed within a durable magnesium alloy chassis that is both dust- and weather-sealed for working in inclement conditions and harsh environments.This Nikon DSLR camera provides 01 year warranty.